Sign up to volunteer (optional). Gather outgrown items; clean & working batteries; price them to sell. 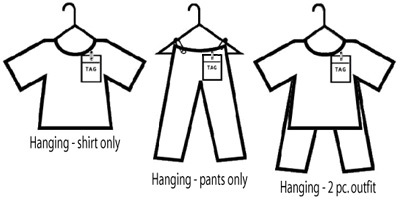 Bring your tagged items to sale location. Items may also be donated. Register & pay online a non-refundable $15.00 registration fee. Earn 60% of your sales. Volunteer to join our Team and learn how to earn up to 70% of your sales. Gather & prepare items to sell. We use a wonderful computerized system called My Consignment Manager. Handwritten tags will not be accepted. The cost to use this system is included in your $15.00 non-refundable registration fee. If at any time you have problems using the system, please feel free to contact us at coastalkidsale@yahoo.com. It is our desire to keep this process quick and easy for everyone. Enter items into your inventory & print tags using our online tagging system. Volunteer: Increase your sales % by fulfilling team member volunteer shifts. Clothing is abundant, so price low keeping in mind the $2 minimum. Toys, Furniture & Baby Gear are our best sellers! Gather items as well as tagging supplies. Seasonal clothing for infants to youth sizes preemie to 14/16 (XXL). Maternity clothing of all sizes. Spring sale accepts spring/summer season clothing. Fall sale accepts fall/winter season clothing. Maternity clothing for all seasons accepted at all sales. Drop side cribs or cribs manufactured BEFORE June 28, 2011. Car seats over 5 years old. Clothing in zip loc bags or on wire hangers (plastic only). Clothing that is outdated, out of season, has an unclean odor, faded or with any kind of damage including but not limited to ripped, torn, pilled, dirty or stained. Used undergarments. New with tags or undergarments in original packaging is accepted. Toys must be clean and in working condition. All battery operated toys must have working batteries. No stuffed animals unless they are interactive in some way. Be sure all gear is clean, includes all parts and in good working order. 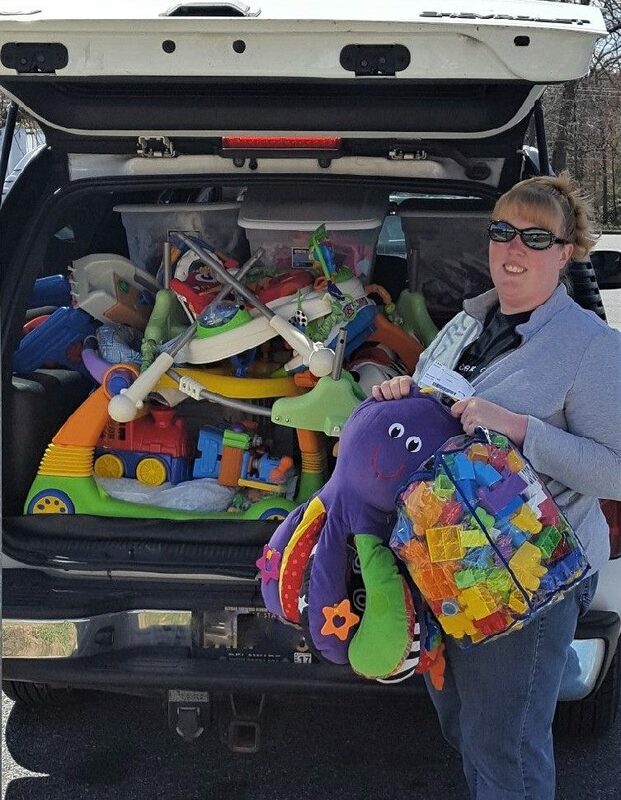 We love strollers, baby monitors, car seats, cribs, dressers, changing tables, toddler & youth beds, cradles, high chairs, booster seats, pack & plays, exer-saucers, jumpers, activity centers, walkers, bounce seats, etc. Bedding priced over $50 doesn’t sell very well so you may want to try selling these items over the internet. The sale of counterfeit designer handbags or other accessories is illegal and subject to criminal and civil penalties under federal and state laws. Coastal Consignments Inc. prohibits the purchase and sale of counterfeit items at our consignment sale events. Coastal Consignments Inc. will not knowingly purchase, consign or sell an item believed to be counterfeit. 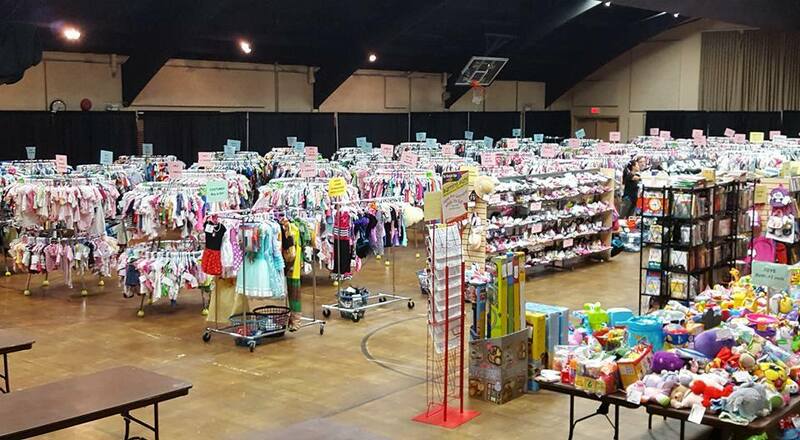 In addition, consignors selling a gently used designer handbag or accessory at a Coastal Consignments or Coastal Kids Consignment sale event will be asked to certify that the item is authentic. WHITE cardstock (or coverstock) paper. Tagging gun or safety pins. Packing tape and/or painters tape. Zip top bags of various sizes. *Most of these items available for purchase from us. Click here to order tagging supplies. Price competitively. Good rule of thumb with pricing clothing & accessories is 25-30% of retail (go higher up to 50% of retail if brand name, new with tags or specialty/seasonal item). Consider marking clothing Discount Yes. 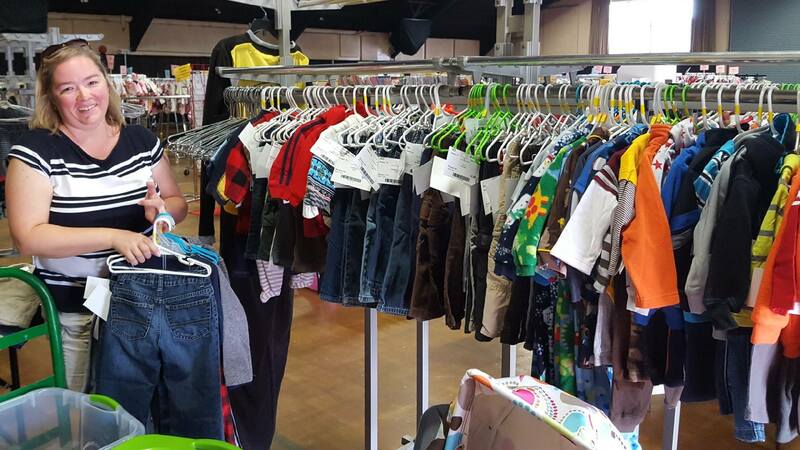 Helps items sell and who wants to bring home outgrown unsold clothing? We have LOTS of shoppers who shop early then return on Saturday to look for items marked Discount Yes and buy more. Minimum price is $2.00. Price items in 50 cent increments. You may group similar items together so they equal $2.00. If necessary, pin a couple of clothing items together on hangers or put a few small toys together in a zip top bag to reach the minimum. Clothing must be on plastic hangers. You will not receive the hanger back after the sale. Zip all zippers, button all buttons, snap all snaps, etc. Use a safety pin or a tagging gun (preferred) to secure the tag to the clothing. DO NOT use tape to secure tags to clothing. Place pin or barb in the tag or seam of the item to prevent poking holes in the garment. Small parts should be placed in a zip top bags. If they belong with a larger item, tape the bag to the other item. Use packing tape; scotch tape won’t hold. Items with missing parts don’t sell. Car seats and booster seats are permitted–flip the car seat over and look at the manufacture date stamped on the tag. If it is more than 5 years old we will not accept the set. There should be at least 12 months left on the seat before expiration to sell it. Click here for carseat checklist and bring to check in (must have checklist to accept car seat). Manuals are required to sell car seat. Manuals help items sell but are not required (except for car seats). Try www.manualsonline.com They are also available on the manufacturers website for download. Place them in zip loc bag and use packing tape to secure to the item. Video, DVD, CD or electronic games should be in their original cases with the tags taped to the back of the case using packing tape. These items can be bundled by placing in zip top bags. Please make sure these items are free of scratches and are in working order. No VHS accepted. Furniture (such as nursery or bedroom) sells great. We ask that if you do not want to assemble it for display that you attach a photograph of it assembled. Bedding sets, blankets & nursery sets should be hung on hangers. Choose and schedule a drop off appointment. Log into your online account. Click on “check-in.” Open time slots will appear. Bring your inventory report & tagged items to sale location. If you are selling 300 items or more you must select a check in/drop off time before 3pm. Track your sales & inventory. At the end of each day we post your sales to your account. Pickup unsold items last day of event between 3:00pm-4:30pm. Any items not picked up by the 4:30pm deadline are donated to charity automatically. Choose to donate your unsold items to charity and we’ll handle donation delivery; you get the receipt and tax deduction. Our local charities thank you! A check will be mailed to you within 10 days of the end of the sale.